When you hear “BlueCross BlueShield of South Carolina,” you’ll see people nodding in recognition. Most everyone knows who we are. As the only South Carolina-owned and operated health insurance carrier, we have been offering security to Palmetto State citizens for more than 65 years. We are also one of South Carolina’s largest employers. Our financial stability is on record. In December 2015, A.M. Best reaffirmed our A.M. Best rating of A+ (Superior) — making us the only health insurance company in South Carolina with that rating. One of the few companies nationwide to achieve this distinction, this year also marks the 14th consecutive year that S.C. BlueCross met this high standard. For the latest ratings, access www.AMBest.com. Premier Medical, Inc is in network with BlueCross BlueShield. Everything for your clinical and diagnostic needs. 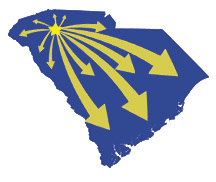 Premier Medical is a South Carolina lab serving South Carolina Practices and Hospitals.